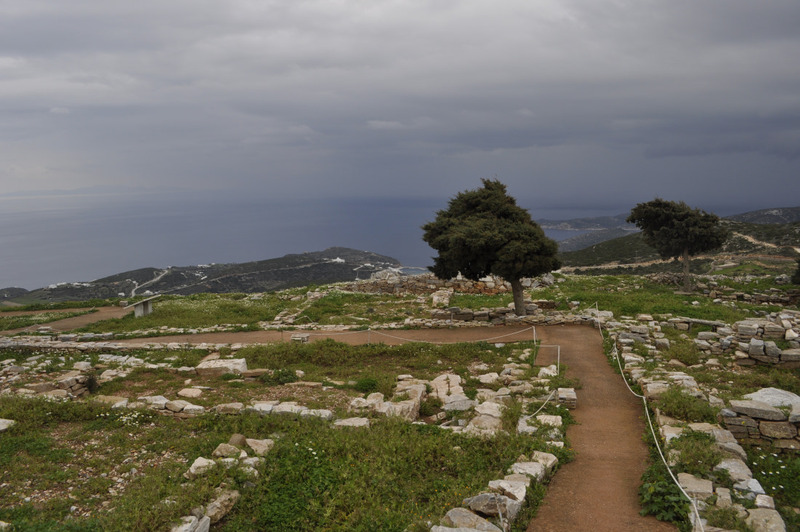 The trail starts at the Neolithic acropolis of Agios Andreas. The archaeological site is open from Tuesday to Sunday from 8:30 to 3pm (closed on Mondays and Bank Holidays). 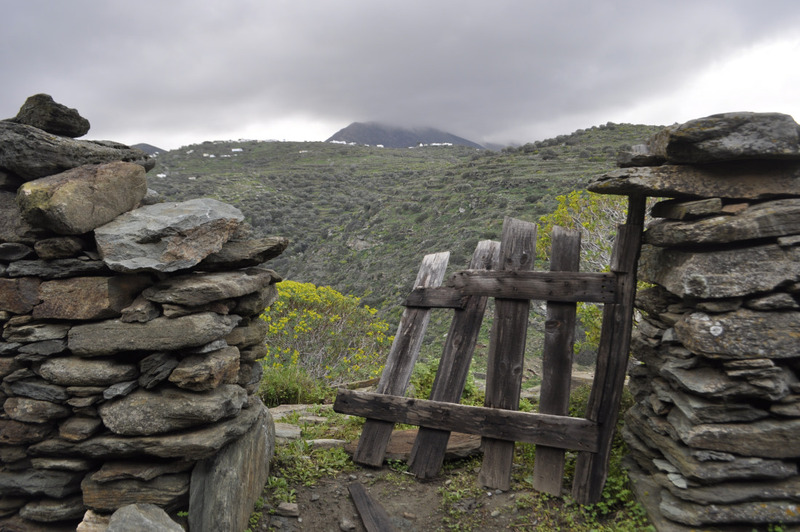 The trail passes through the site and reaches the gate of Agios Andreas church. In case the site is closed, there is a way-marked trail that by-passes the fenced area and joins the main trail about 200 meters later. 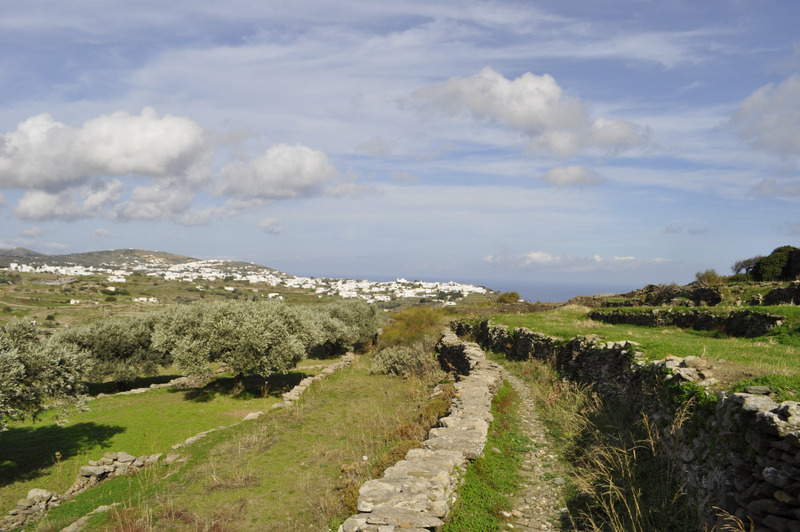 After the archaeological area, the trail continues downwards, offering amazing views on the villages of Sifnos. 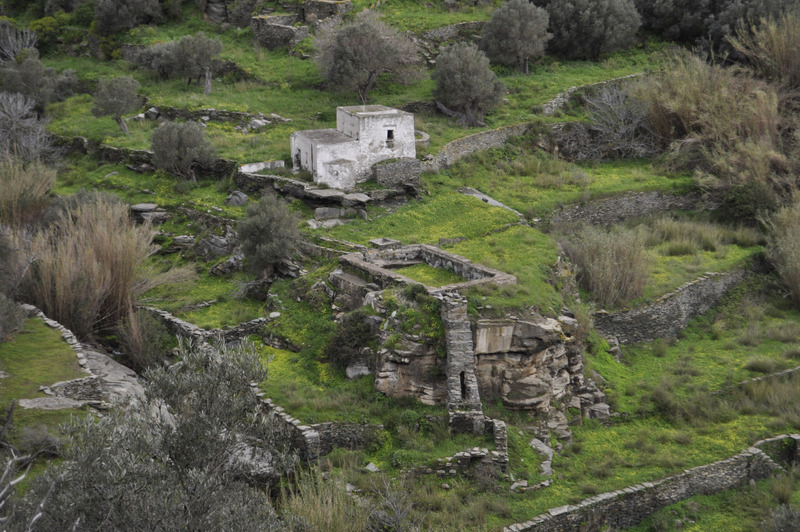 Passing through rural landscapes, you will soon reach the Holy Monastery of Vrysi, (16th c.). 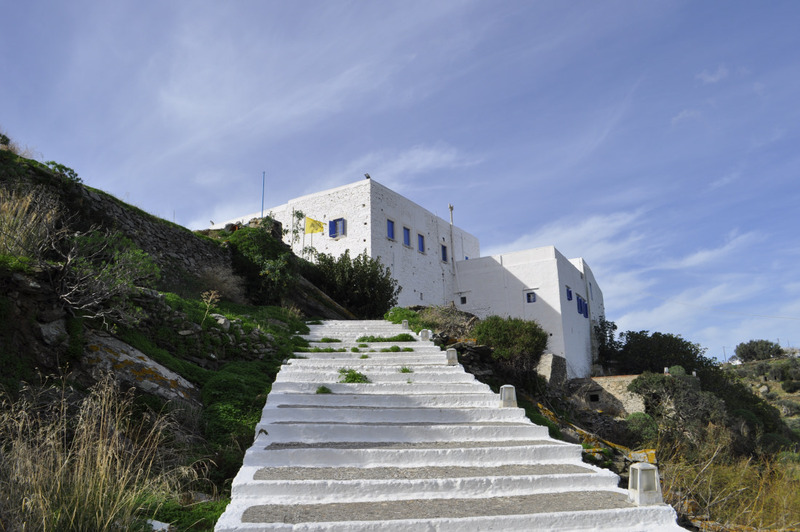 It is the sole monks monastery of the island. 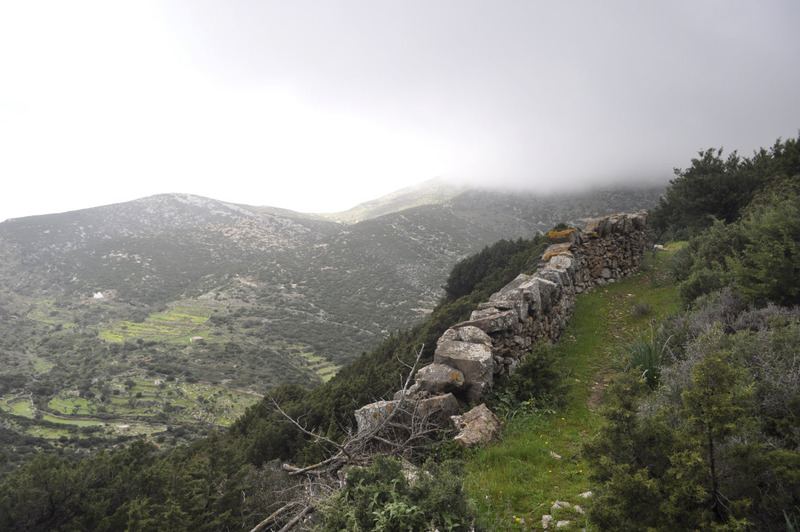 After walking a few meters on the main road (be very careful while crossing), you will enter a trail that moves eastwards to Kastro village. 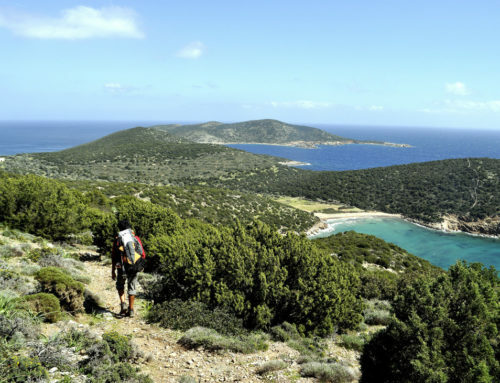 This part of the trail moves along the slopes that delimit the Erkies creek, which is amongst the most important creeks of the island. 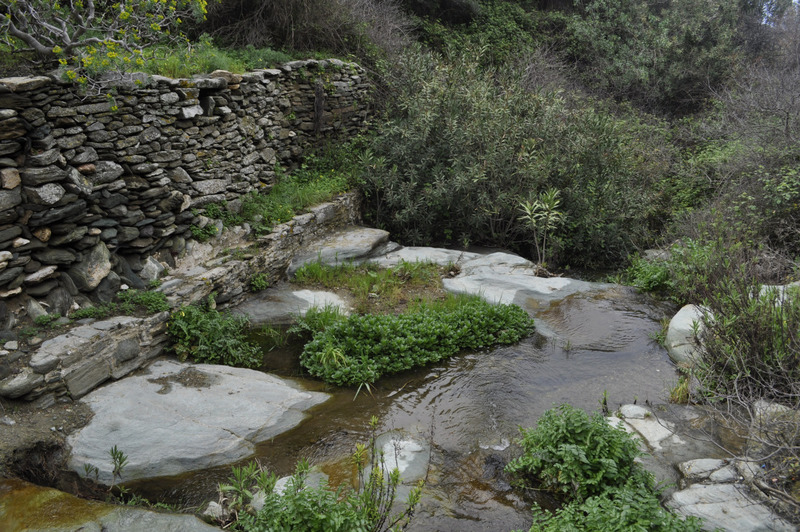 There is a creek crossing at some point that might have water running, especially during winter. A few hundred meters after the crossing, you will see on your left the ruins of an old watermill with its well preserved water-tower. 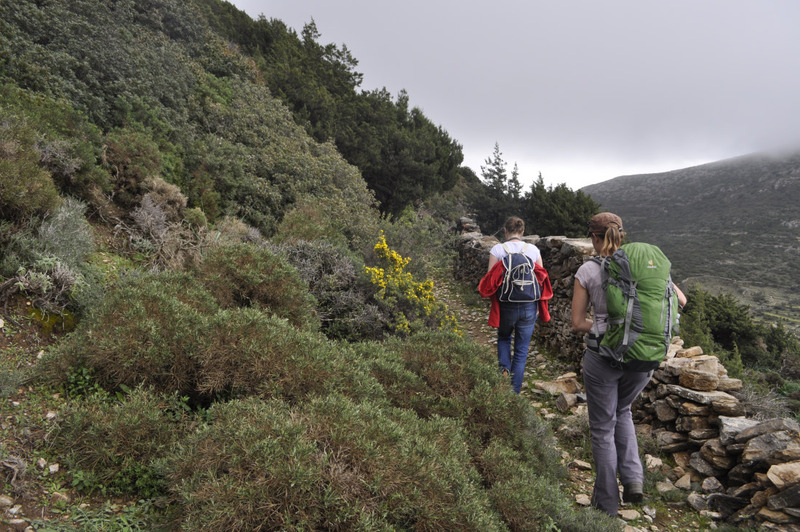 Gently going down, the trail leads to the bottom of Kastro village. There, a sign points to Seralia bay. Continue upwards. 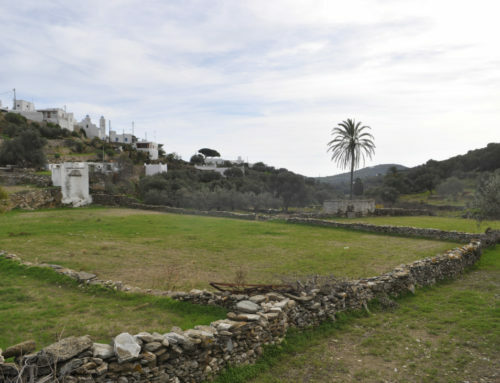 After passing an ancient column that lies in the fields, and just a few steps up, you will get to the village. 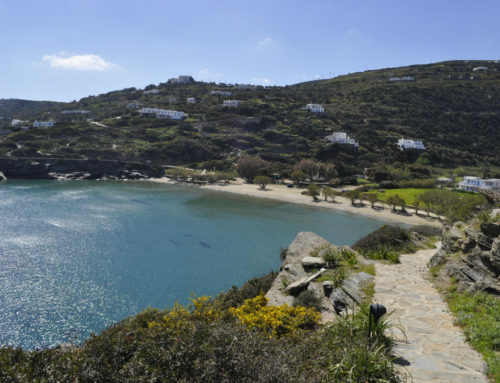 Kastro, inhabited since ancient times, was the capital of Sifnos until 1836. Most of the buildings date from Venetian times! 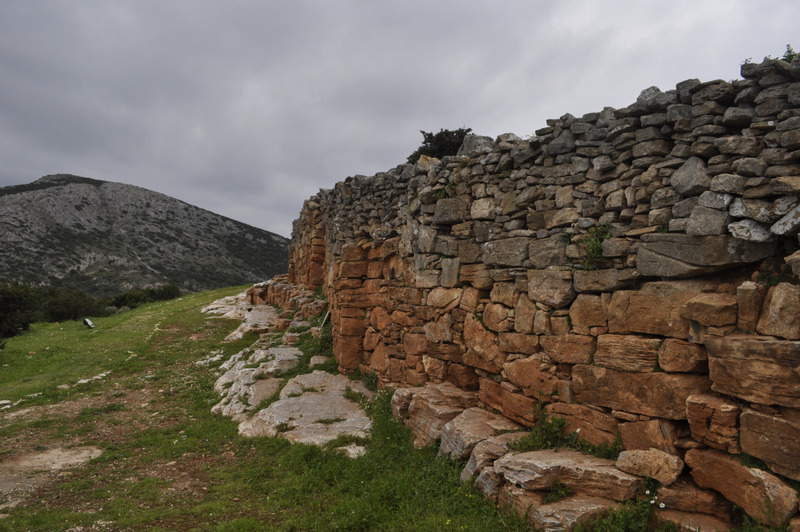 It is strongly suggested that you stroll through the narrow streets, full of unexpected antiquities! 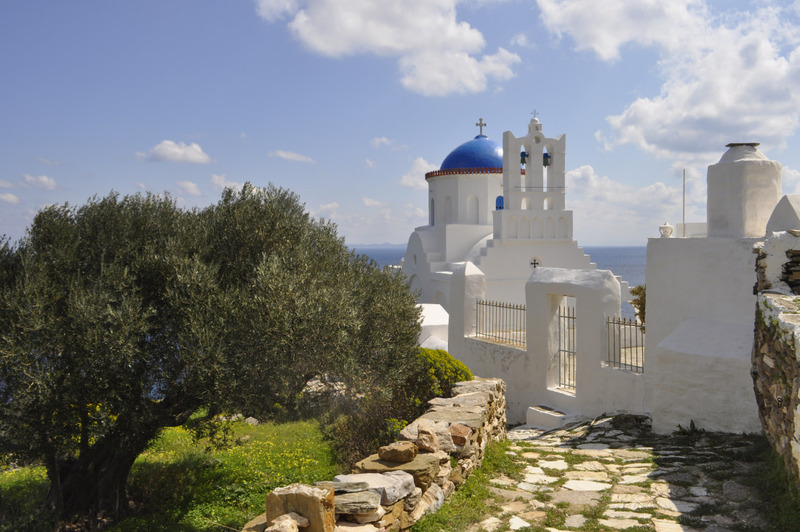 From Kastro, the trail continues by the coast, until the picturesque church of Panagia Poulati. 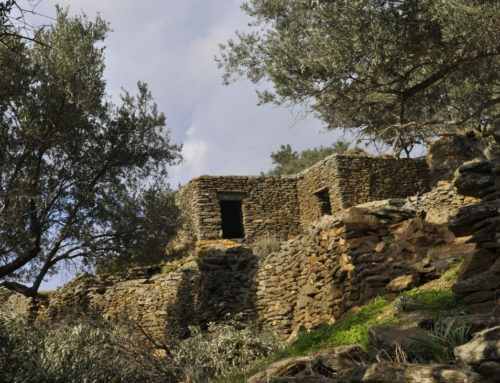 The uphill trail from Panagia Poulati leads to Agios Loukas village, and a few hundred meters farther to Artemonas, a 19th century village with neoclassical mansions. This will be the end of a trail which is literally a trip back in time! 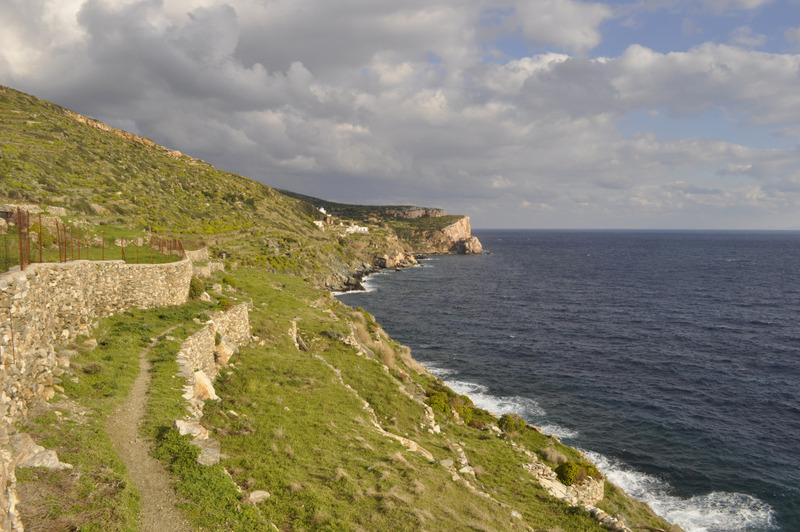 A small junction to the east of Panagia Poulati, leads to a rocky bay with crystal clear waters. 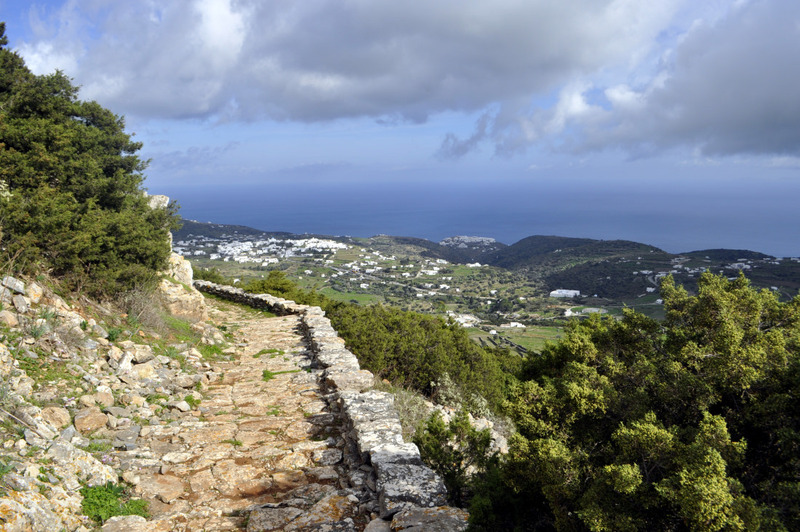 It is possible to start the trail from Apollonia. 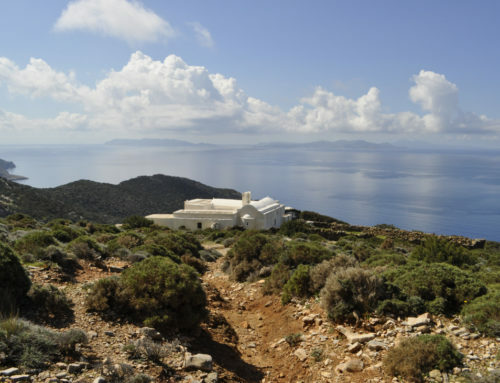 Through trails 5 or 6 and then 1A from Fyrogia, you will get to Agios Andreas. 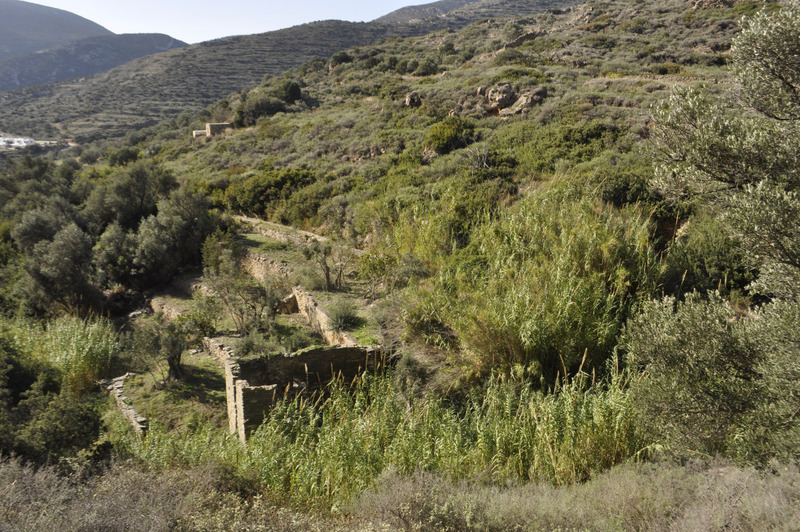 Once in Artemonas, to get back to Apollonia you can follow the large trail that links the two villages, thus completin a long loop trail! Within the Holy Monastery of Vryssi operates a Museum of Ecclesiastic Art. 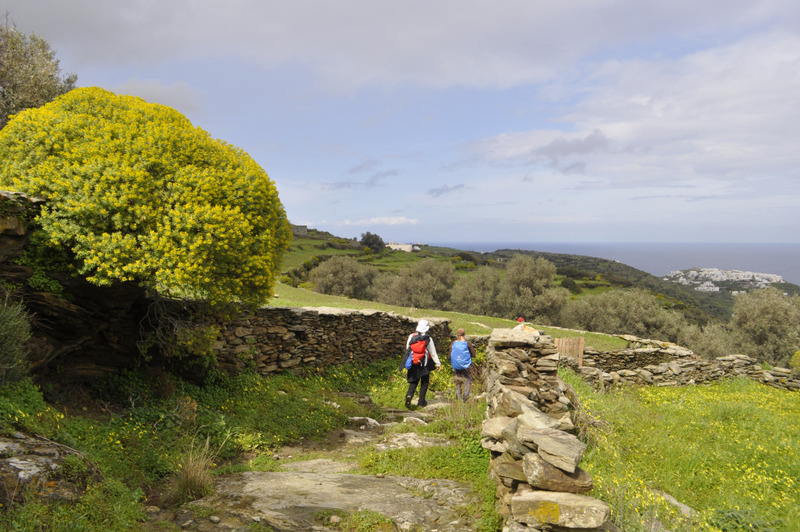 The trail is a short uphill walk that links the Agios Andreas archaeological site to Fyrogia.  You can use this trail in combination to trails 5 and 6 to reach Agios Andreas from Apollonia, as Apollonia is a more convenient starting point. 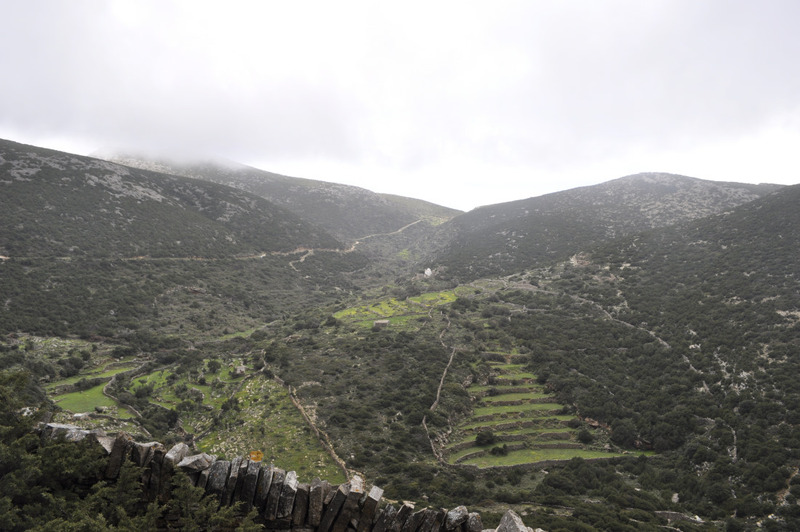 On the uphill 1A walk, you will pass through very old terraces that were certainly cultivated by the Neolithic inhabitants of the Agios Andreas acropolis, as many obsidian blades have been found. 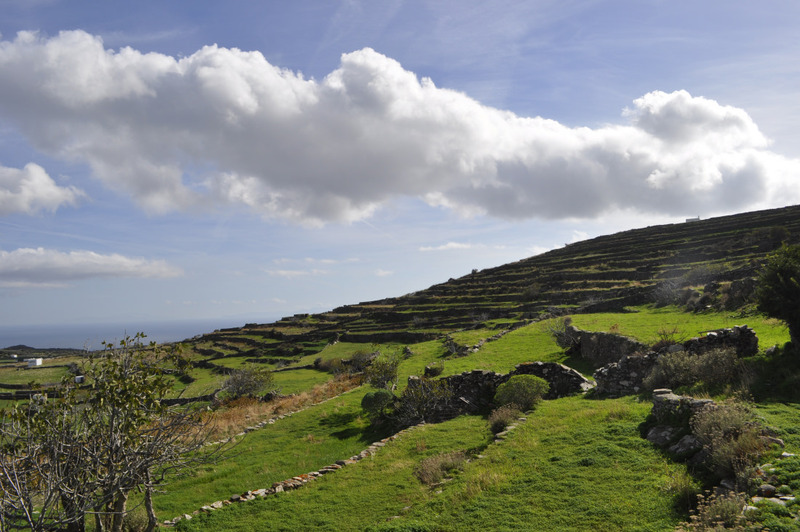 This means that these fields were cultivated here for more than 4500 years! Trail 1A links the trailhead of trail 1 to trails 5 and 6 and thus to Apollonia, which is a more accessible trailhead.